‘FAN N STAR’ Proceeds the support of KNK Kim Ji Hun. 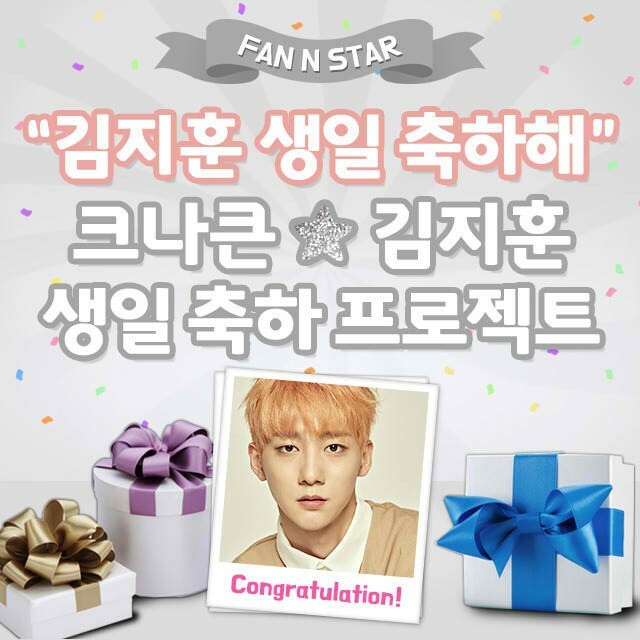 [The Fact] FAN N STAR is website that pick the weekly rank of idols operate by The Fact, it has been opened the Birthday support of Kim Ji Hun(KNK). FAN N STAR opened the birthday support of Rocky on 25th. His birthday is this coming feb 20th, and lot of his fans are supporting his electronic display board event in FAN N STAR. The support of Kim Ji Hun operate by FAN N STAR, if his fans donate 100,000 stars in the website, his birthday greeting message film will be showing through electronic display board in Shinjuku, Japan. Additionally if he reaches 200,000 stars, electronic display board in Tokyo, Japan, the cheering film will be released at 43 stations on subway line 2 in Seoul. If it reaches 500,000 stars, it will be screened in travel bus for foreigners in Korea, and if it reaches 700,000, it will show a congratulatory film through the Apgujung CGV screen, getting a lot of attention from his fans. And KNK released their 3rd single album ‘Lonely Night’ on 7th. KNK is moving forward for their music activities.